Most Singaporeans know that Malaysia supplies Singapore with water, but how many have seen the water pipes? The Pipeline Trail traces the passage of these pipelines from Woodlands to as far as Jalan Anak Bukit in Upper Bukit Timah. The route is fascinating as you get to see some of the exposed pipelines, all of which are fully functioning. There is a moment halfway into my run at MacRitchie Nature Trail when I encounter a group of long-tailed macaques. The city dweller that I am, I take my phone out to photograph the monkeys. "So cute," I think to myself of the pint-sized creatures. This is before a few of them start to approach me as they try to figure out if I have anything edible on me. 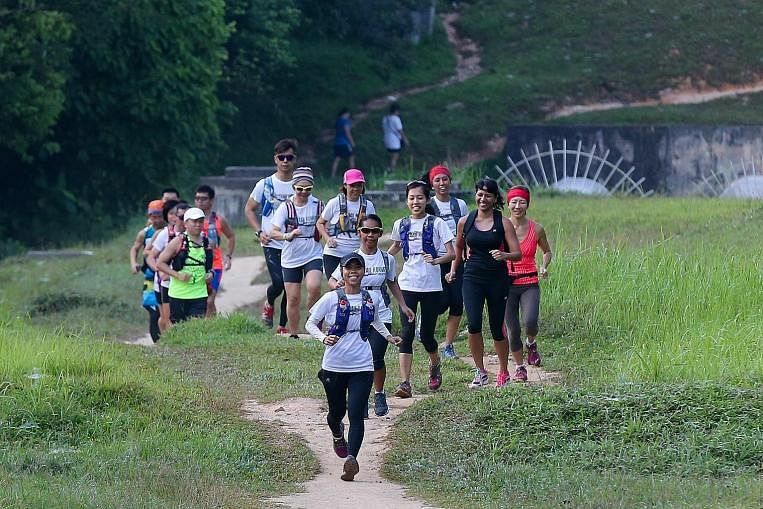 The Green Corridor trail technically spans 26km, that is, if you travel down the whole corridor from Tanjong Pagar Railway Station to Woodlands Train Checkpoint. But I am not so ambitious, so I opt for an easier route that takes me from Commonwealth Avenue, a short walk from Buona Vista MRT Station, to Rail Mall.